Providing a comprehensive business travel service in Europe and worldwide, we are an IATA agency, as well having ATOL cover. Call us now for more details on our personal service. Arranging private travel, whether flights, holidays, or hotels, is where we made our reputation and continue to do so. Read on to find out why our approach is different. And check our updated Sports calendar here. We're small, professional and approachable. We take time to get to know our clients individually. Many have been with us for as long as twenty years. At Steamond Travel, we look out for any special deals that our suppliers make available from time to time, making sure they're relevant to discerning travellers. We do not hesitate to recommend Qatar having received very favourable feedback from our clients. Voted airline of the year in 2015, we are delighted to be working closely with Qatar Airways, the newest Gulf airline. 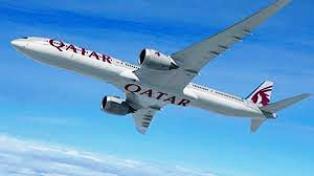 Qatar have 7 flights per day from Heathrow, 2 from Manchester and 1 from Birmingham to Doha with superb onward connections to the Indian Ocean, Far East, Australasia and Africa. Their modern fleet includes the Boeing 787 Dreamliner, 777's and Airbus A380, A350 and A320, and an excellent in flight service. What our clients have to say. A selection of the most recent comments about our service and people's travel experiences. We welcome comment anytime.